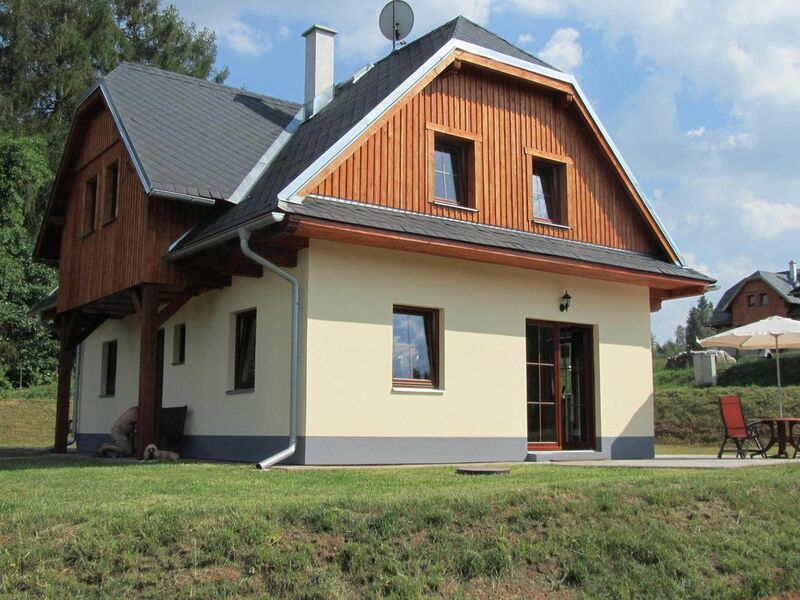 Detached house only 3 km from the provincial town of Trutnov, with many winter sports options in the area. The new apartment has modern stylish furnishings and is provided with all comforts. The spacious kitchen invites you to prepare lovely meals which you can enjoy on the charming dining table or on the picnic table outside. Next to the terrace with the picnic table, there is also a terrace which has garden furniture and a parasol. There is also play equipment for the little ones, and in one of the bedrooms there is a high chair and a camp bed. When the temperature falls, you can sit by the wood stove in the living room, and the house also has heating, naturally. There is also a separate heated area for ski boots, clothing and skis. Trutnov is a great village with various restaurants and shops. You could also take a trip to the casino. There are images of the Krokonose, the protector of the Giant Mountains, everywhere in the town. In the winter you can ski on the slopes of Mlade Buky (9km), Janske Lazne (17km), Cerny Dul or Pec pod Snezkou (22km). But in the summer there are also many excursion options, such as Nachod (35 km).